Immediately after our arrival, we dropped our baggage in the airbnb accommodation & made our way towards the old part of the city. In the Old Town Historic Park you can stroll in a pedestrian zone, flagged with houses and cabins in the old western style. 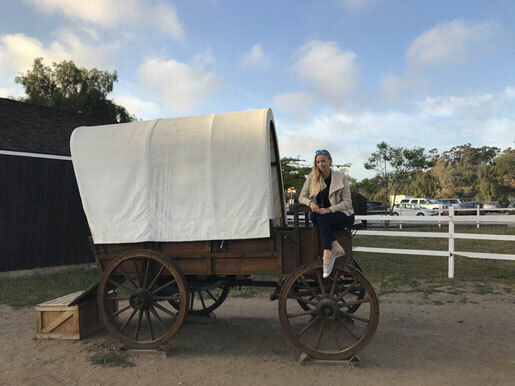 If you didn't already, once you catch a glimpse of the old covered wagon, you'll feel as though you've been taken back a few centuries. Many of the historic buildings were rebuilt & transformed into museums, including the Whaley House. This property is leading various lists of "most haunted houses" - if nothing else maybe, because it was built on a territory, were souls have been executed prior... a good start for a mysterious fame. In the morning of our first entire day in San Diego we made our way towards USS Midway Museum. Because parking is rarely free in that area, it's worth considering a ride with Uber. Or you rent a little luck & catch sight of a Parkometer which still blinks green - and get sponsored with some leftover minutes from the previous vehicle (only on Sundays parking is free). But, if you prefer not guarding your watch, you might want to drive to a parking lot with a day-flatrate (seen around $10). You don't have to worry about getting around, as the quarter offers a lot to explore by foot. 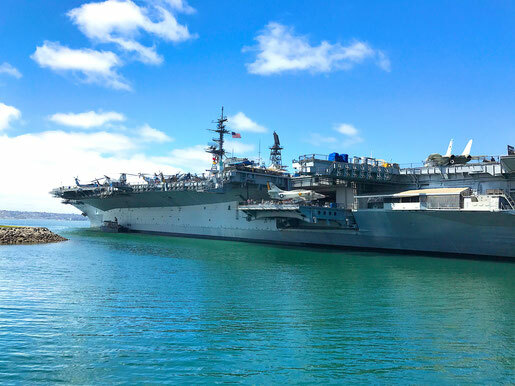 If you have visiting the USS Midway Museum on your to-do-list, it definitely pays off to scan some online deals in advance & save some money at the entrance (e.g. $15 instead of $20 via Groupon). Two hours easily evaporate on the senior aircraft carrier, on which more than 200.000 soldiers served (oh yes, it's huuuge). Independent of the museum, but still fitting in in a cheesy way, looms the statue "unconditional surrender" about 25ft into the air. The installation is based on a photograph, which was captured 1945 on V-J Day ( = victory over Japan) at time square. The picture captures the moment, as a young sailor grabs the nearest standing nurse and deeply kisses her. 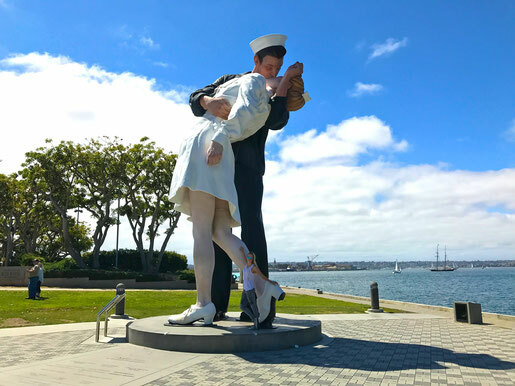 You don't have to wait a long time to witness some couples getting pictured in front of the statue, mirroring the pose. Or groups of young men, glimpsing under the skirt of the nurse. Afterwards there is the chance to stroll on the port esplanade towards Seaport Village. The waterfront treasures adorable small shops with navy styled souvenirs, as well as restaurants with a great view over the bay. ... but more about Seaport Village & the most wonderful sunsets, which you should miss in no case (honestly! It's almost impossible to see it any more gorgeous) is coming up in part 2! 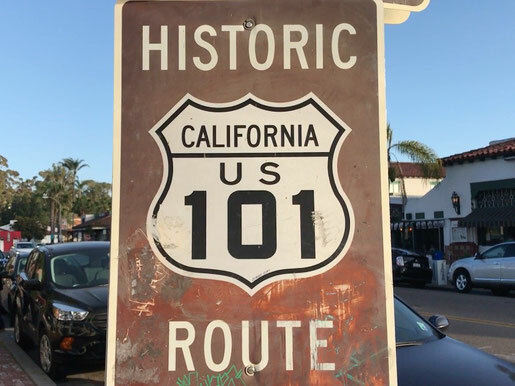 You're curious, when the journey through San Diego continues? 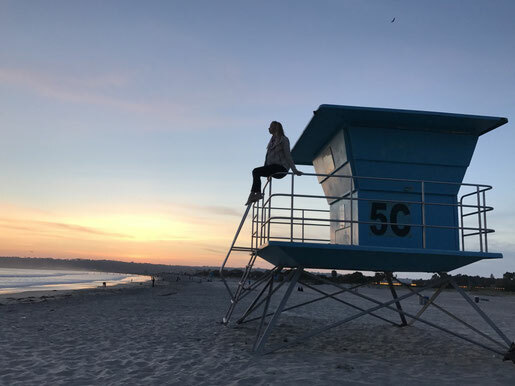 Sign up for my mailing-list & be the first to know, once there's a new blog post online for you to read! 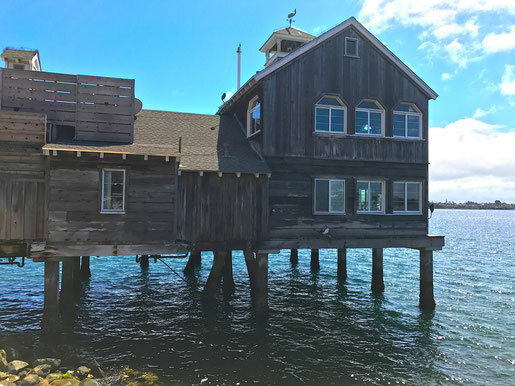 More about the "Seaport Village" is coming up in Part 2 of "3 Days in San Diego"